William Jenks, president of U.S. Classic Guitar, has announced the line-up of the Portland International Guitar Series XIV. The concerts will be held at the Eliot Center, 1011 S.W. 12th St. in downtown Portland. "This season will feature 11 concerts and seven master classes of some of the greatest guitarists in the world, including living legends Pepe Romero of Spain on Feb. 22 and Carlos Barbosa Lima of Brazil on March 8," said Jenks. Patterson/Sutton Duo from the U.S. on Nov. 30 at 8 p.m. This is the grand opening of the series and features complimentary refreshments from 7-8 p.m. prior to the concert. Mak Grgic of Slovenia on Jan. 11. Judicael Perroy of France on Jan. 25, with a master class from 11 a.m-1 p.m. on Jan. 26. Benjamin Verdery of the U.S. on Feb. 8, with a master class taking place from 7-9 p.m. on Feb. 7. 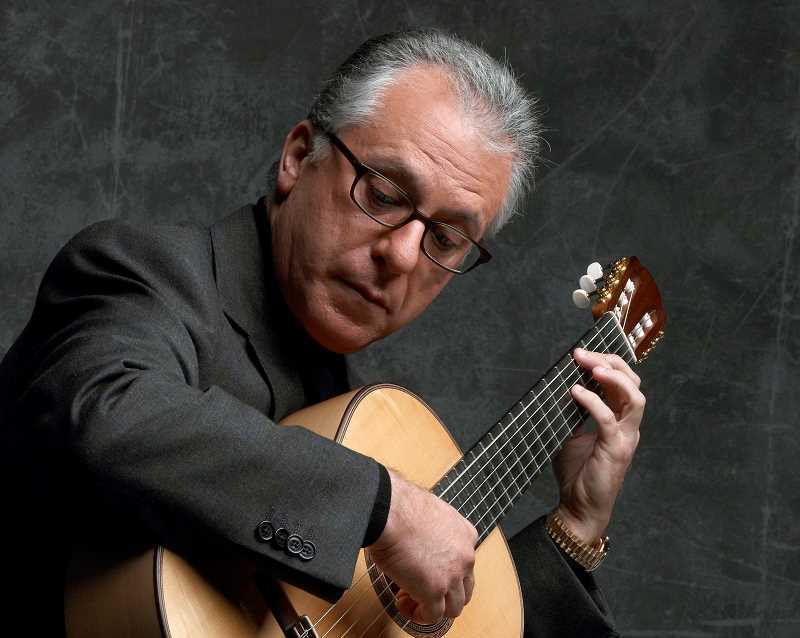 Pepe Romero of Spain in concert Feb. 22, with a master class taking place from 11 a.m.-1 p.m. on Feb. 23. Carlos Barbosa Lima of Brazil in concert March 8, with a master class from 11 a.m.-1 p.m. on March 9. Eduardo Fernandez and David Leisner, from Uruguay and the U.S. respectively, in concert April 4, with a master class offered April 3 from 7-9 p.m.
Ana Vidovic of Croatia in concert April 12, with a master class offered April 13 from 11 a.m.-1 p.m.
Real Duo, Carles Pons Altes and William Jenks, musicians from Italy, Spain and U.S., in concert May 18. Andrea Gonzalez Cabellero of Spain in concert June 7. Beijing Guitar Duo from China in concert on June 28, with a master class offered from 11 a.m.-1 p.m. on June 29. "Season tickets are the best deal if you can make most of the events this year because they give you all the following benefits," said Jenks. Benefits include the best seating; audit of all master classes; transferrable tickets; exclusive invitation to VIP Channing Room for drinks and refreshments before concerts and during intermission for all concerts at Eliot Chapel; exclusive invitations to all Artist Receptions following the concerts and the ability to purchase additional tickets at a discount. Season ticket price is $320; individual tickets are also now on sale.